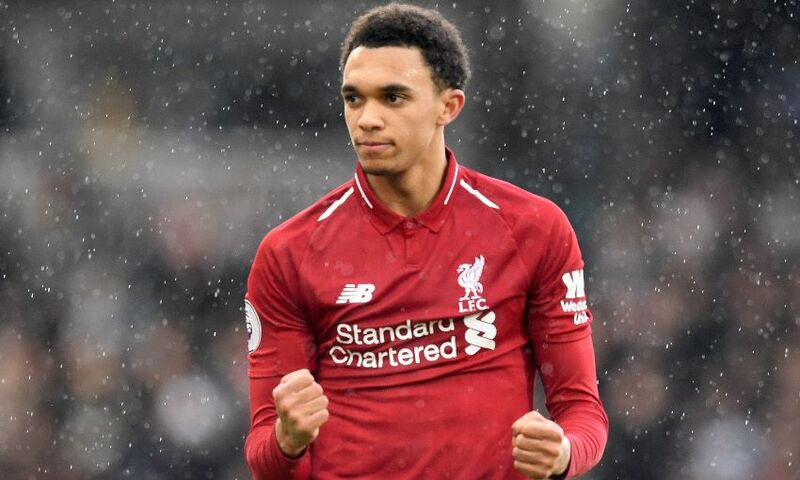 Trent Alexander-Arnold believes Liverpool’s three wins in the space of a week demonstrated they’re ‘a force to be reckoned with’ as the season edges towards its decisive finale. The Reds recorded victories over Burnley, Bayern Munich and Fulham to return to the top of the Premier League table, albeit having played a game more than Manchester City, and move into the quarter-finals of the Champions League. The latest triumph – at Craven Cottage on Sunday – needed Jürgen Klopp’s men to recover from the setback of conceding a late equaliser to go on clinch a 2-1 success. “To be able to bounce back and show our character was good for us,” Alexander-Arnold said. “These are the ones that maybe go unnoticed during the season, but they are vitally important for us. And I think we will probably look back at the end of the season and think that, whatever the outcome may be, this game was important for us. “The full week – the goals we have conceded at home to Burnley, when we went down at home, it was tough going to Bayern, and then conceding a late equaliser against Fulham was tough. It was former Liverpool forward Ryan Babel who almost caused an upset when he capatilised on a mix-up between Virgil van Dijk and Alisson Becker to cancel out Sadio Mane’s opener at Fulham. However, the Reds kept their composure and duly clinched a vital win courtesy of James Milner’s 81st minute penalty. “Maybe a few years ago we might have won one of those games,” Alexander-Arnold reflected. “Especially against Fulham, maybe a few years ago we would not have got the three points, but we’ve showed how good a team we’re becoming. With seven games remaining in the Premier League title race, Liverpool are two points ahead of Man City, though having played a game more than Pep Guardiola’s side. Alexander-Arnold added: “Obviously, I was a fan during the 2013-14 season when we came so close, so it’s nice to be involved in a title race. You don’t get to say that many times in your career.